This place is well on its way to becoming a Bookman’s Corner. He has more books every time I go in, but not more space. There are piles of books in front of piles in front of shelves. This is a very small bookstore, but there’s a very good selection inside. The short list of books here is not because I haven’t bought that much from Footnote; it’s because I started buying books there well before I started keeping a database. I’ve picked up several game books there, and quite a bit of science fiction. And a lot of books from their outside dollar boxes. I just don’t remember which books were purchased from which bookstore back then. I’m pretty sure that I picked up more political books there than just the ironically-named Palace Guard. They have a lot of science fiction and fantasy, history, cookbooks, and more. It’s well worth the trip if you’re in the area. They’re a little off the beaten path—you need to walk several blocks down from the Fifth Avenue/Fourth Avenue center of Hillcrest. When you get there, however, you will be rewarded with not just Footnote, but also a comic book store and a thrift store. This is also the only bookstore I’ve been to that is adamant about keeping any bags you might be carrying, so be forewarned that you’ll need to give it up. You should probably wear a hard hat in this store. It is filled with towering piles of books. 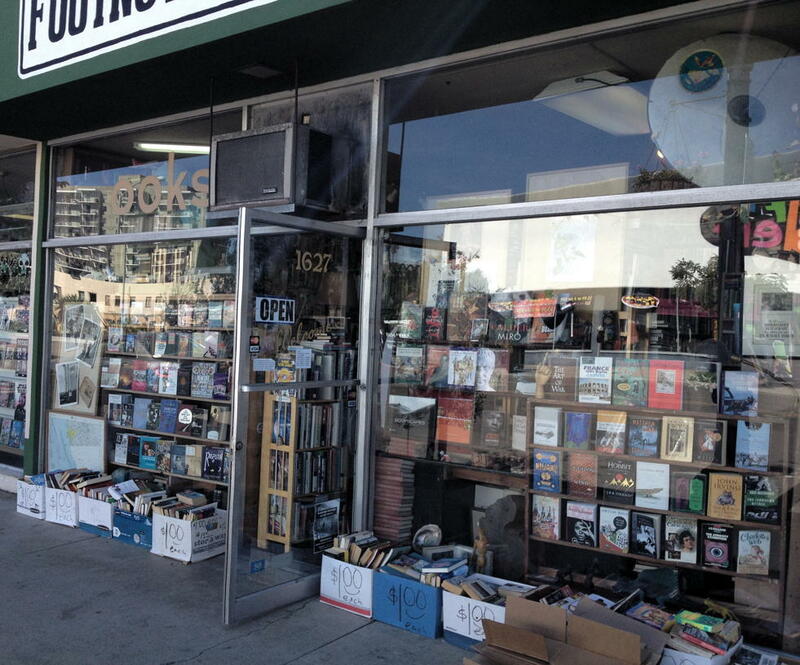 A tiny bookstore in San Diego with lots of books. Worth visiting. Eclectic. This is an amazing account of the rise of Nixon’s White House staff: Mitchell, Haldeman, and Erlichman. It’s also interesting seeing clear media bias, from one of the media’s then-leading lights, over thirty years after he wrote it, and eight years after his own self-made demise. San Diego, California: Footnote Books last modified March 9th, 2016.